Marketing is from Mars and Logistics is from Venus -- at least when it comes to trade promotion management. Marketing is focused on developing the promotion and maximizing sales. The more volume, the more revenue. But, too often, the executive managing the promotion fails to properly coordinate efforts across all involved functions. As a result, hundreds of thousands of dollars in profit are lost to inefficiency. But if these extra costs are incurred in the warehouse or with freight carriers, it's possible that the marketing folks in charge don't see them. They end up reporting stellar sales numbers, while the company has actually lost money on the promotion. If you want to maximize profit from trade promotions, a good place to start is with logistics and involving the right people early in the planning process. Logistics folks don't ask for much when it comes to promotions. We just want to know "What are we getting and when?" Save warehouse space and labor. 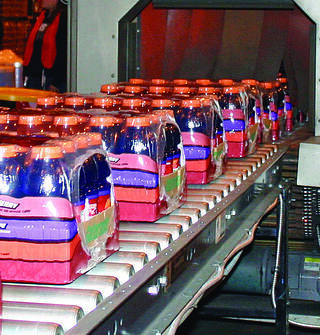 Industrial engineers can examine product volume and dimensions and develop a warehouse floor layout for storing and transforming products in the least amount of space with the fewest people. Reduce the number of trucks. Through load diagramming, we can load trailers to maximize cube space and use less trucks to ship the same amount of product. Reduce inventory carrying costs. If logistics can get accurate information on the volume and delivery time of products, labor and trucks can be scheduled in advance, so product doesn't arrive and sit. Workers are ready to immediatley create promotional kits and send them to a waiting truck. Reduce labor. Good data means better warehouse labor planning. Poor data or last-minute data results in overtime costs and extra shifts to deal with the volume surge. One strategy that eases integration challenges during a trade promotion is to work with a full-service 3PL with its own truck fleet. It’s ideal to work with a company that can combine the warehousing, co-packing and transportation functions. This simplifies the communication challenge and enables rapid corrective action when problems occur. Product promotions can be an ugly management mess. Poor communication with all involved parties creates inefficiencies, particularly in logistics, which is called upon to handle double and triple the normal throughput volume in the warehouse. The simple solution is to involve logistics early in the planning process. The more we know, and the earlier we know it, the lower the operating costs and the greater the profit.